Medically proven as a mosquito-borne infectious disease, studies have shown that malaria is one of the deadliest sicknesses in the world. Although the risk of this sickness can be reduced by preventing mosquito bites through the use of mosquito nets and insect repellents, malaria still remains one of the leading causes of death in Africa. As a matter of fact, research has it that there were 216 million cases of malaria worldwide resulting in an estimated 731,000 deaths, as of 2016. Be that as it may, there are anti-malaria drugs that can be used to treat malaria but there are also effective home remedies for malaria that are believed to be more preferable than orthodox drugs. 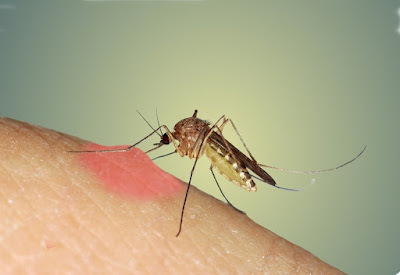 It cannot be argued in anyway whatsoever; the best way to treat malaria is to never catch it in the first place, but to avoid mosquitoes in the tropical world is difficult, to say the least. However, powerful mosquito spray and mosquito netting is essential in preventing malaria parasite. In addition, you should also ensure that there are no large pools of standing water near your home, as they are the perfect places for mosquitoes to lay their eggs. Lemongrass itself is called a fever grass, and it is arguably one of the most popular plants in Nigeria. However, due to the mineral constituents present in the grass, many people cut the leaf, boil it, and take it on a daily basis to treat malaria. Oranges are rich in Vitamin C and they help boost the immune system and fortify it in fighting off diseases and parasites. Grapefruit has the same action as oranges and it is also rich in vitamin C; it can reduce the intensity of the illness and reduce the duration. It contains natural quinine that can help treat malaria. However, it is advisable not to take grapefruits if you are taking an anti-malaria drug that has quinidine. Take lots of oranges daily. Take homemade orange juices as much as you can but avoid adding refined sugar because it weakens the immune system. For the grapefruit; you can boil it; strain the fruit and drink the juice. Ginger has powerful antimicrobial properties that can help destroy the plasmodium parasite. It also gives relief from the symptoms of malaria-like pain, inflammation, nausea, and vomiting. It can also relieve headache and treat indigestion. You can choose to drink ginger tea twice daily; grate fresh ginger roots, as much as you want. Boil it in 2 cups of water; leave it to cool then strain it and drink it. You can add lemon juice and honey for taste and to also make it more effective. This is an age-old remedy used to treat fever; bring down high body temperatures and fight infections. It also strengthens the immune system and helps the body recover fast from illnesses. Use ACV daily till you recover fully. Add two tablespoons of ACV in a glass of clean water and drink it. This should be done twice daily. You can also do a cold compress to help you bring down your body temperature. Add ½ cup of ACV in a bowl of cold water; put a clean towel in the solution, squeeze it lightly and place it on the claves for at least 10 minutes.